Today, we browsed through consumer feedback that we received in our website's survey. Our main concern was the use of two caps in our design. However, the feedback we received was all for using two caps, so no design changes were necessary for that fact. The team also tested each individual's design for the final time and came to a consensus on which iteration would become the final product to be displayed at the competition. 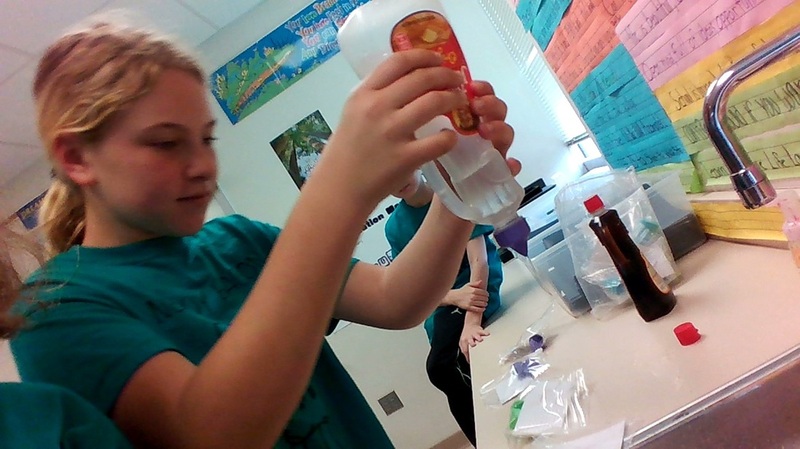 We tested our iterations on a store-bought bottle of syrup to ensure effectiveness in the kitchen. 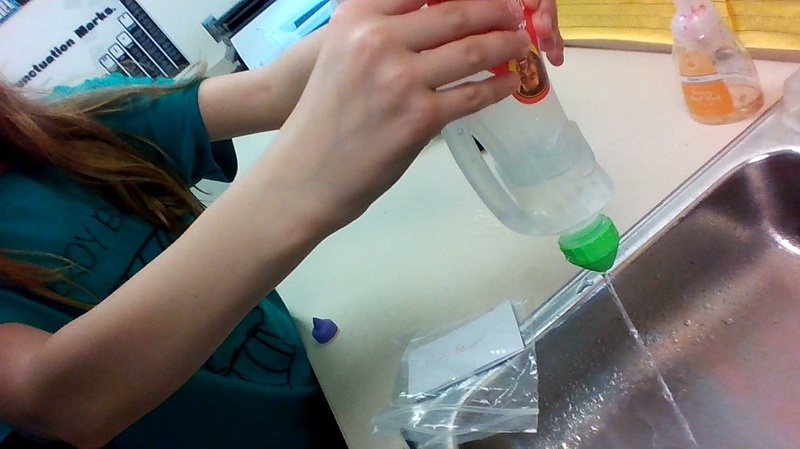 First, we filled an empty syrup bottle with water. 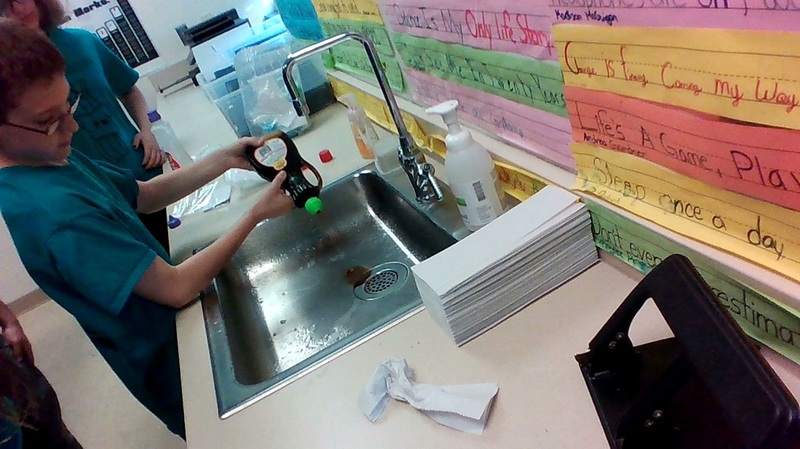 After we tested the caps with the water, we tested the caps using actual syrup. 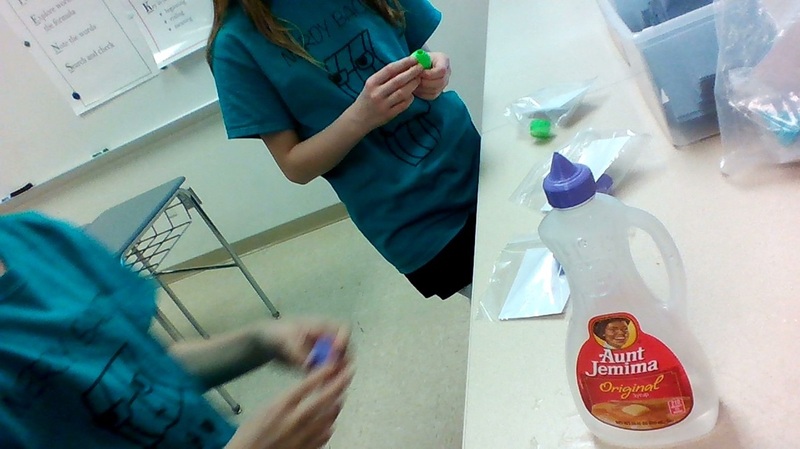 Today, we examined the prototypes of each individual's syrup cap design. We chose the best out of all of these and went back into TinkerCad. 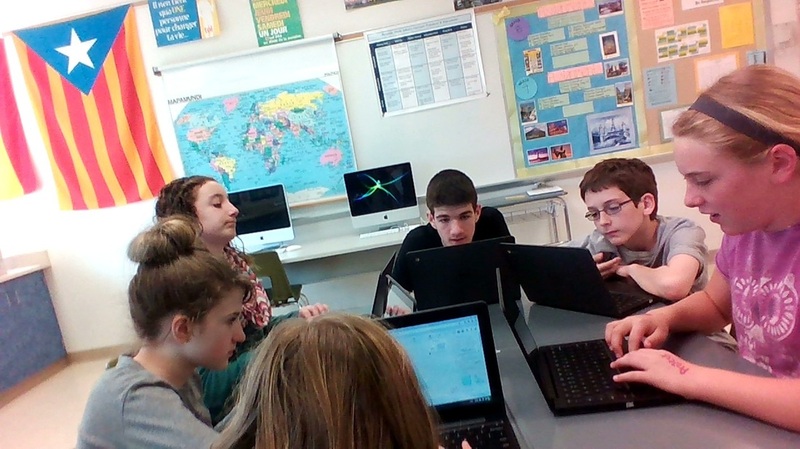 Everyone examined where problems in the printing occurred, and as a team, we came up with solutions to the problems. 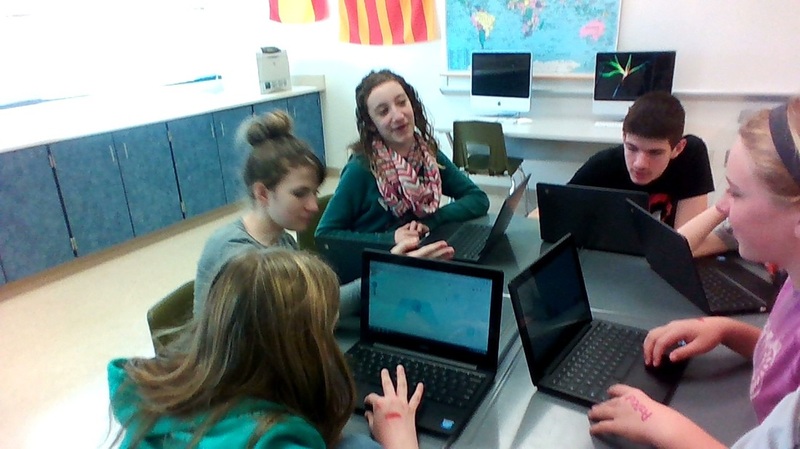 In the end, we all submitted our new and improved designs into a 3-D printing queue in Google Drive to be printed. Afterwards, all of the team members gathered around and used the rubric to score our design. We also began talking about our presentation. Today, each individual on our team looked over Thingiverse in search of ideas. 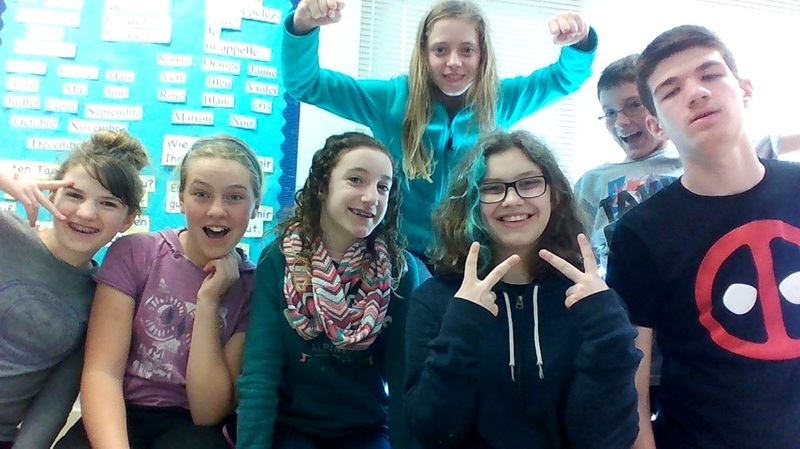 Once, we found something to work with, we went into TinkerCad and designed our own product. Each member of the team added their design to a queue we set up in Google Drive. We then printed the first design added to the queue. 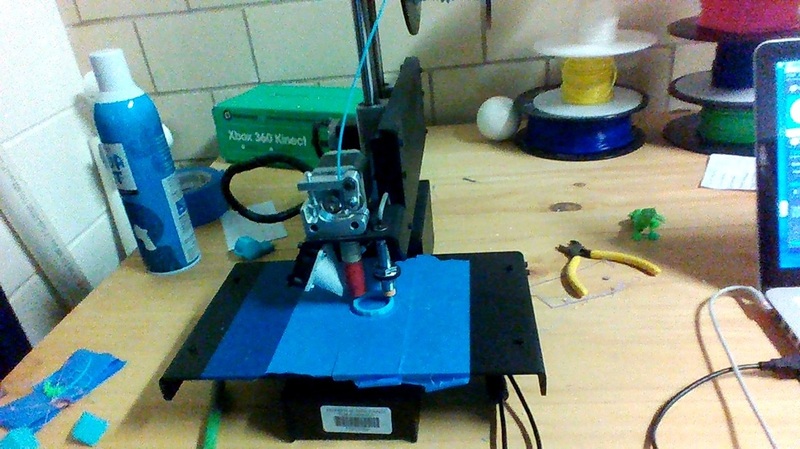 However, a good portion of the way through the print, the 3-D printer stopped printing, so we had to figure out what the problem was and find a solution. At the end, the team posed for a commemoration photo to celebrate a job well done. Today, we conversed as a group about more potential problems encountered in the kitchen. However, the one difference between this meeting and the previous meeting was our team discussed more problems with appliances and utensils rather than actual cooking issues. We discussed issues from storage, to measurements, to cleaning up messes. One of the things we focused on was the fact that syrup gets very messy. 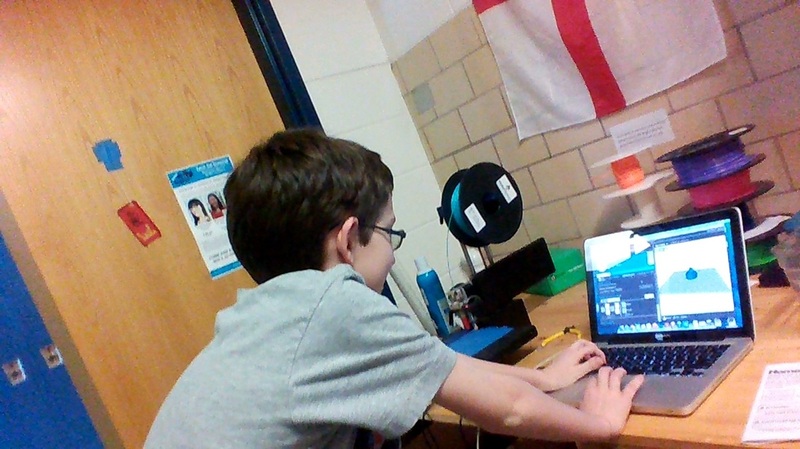 We went into the computer lab to research different types of syrup caps in order to create a design in TinkerCad, so can make a cap that resists messes with the syrup. We also perused Thingiverse for caps that other people created. Our team did this to gather ideas for our cap design. Today, our team ventured into the health room to examine the kitchen. As a team, we discussed problems we encounter in the kitchen. After we named a problem, the team would collaborate to form some sort of solution to the problem. Then, the team split up into pairs and surveyed our school's staff members about the problems they come across in the kitchen. Once the pairs gathered the results, we came back together as one big group and shared the newly-found problems.